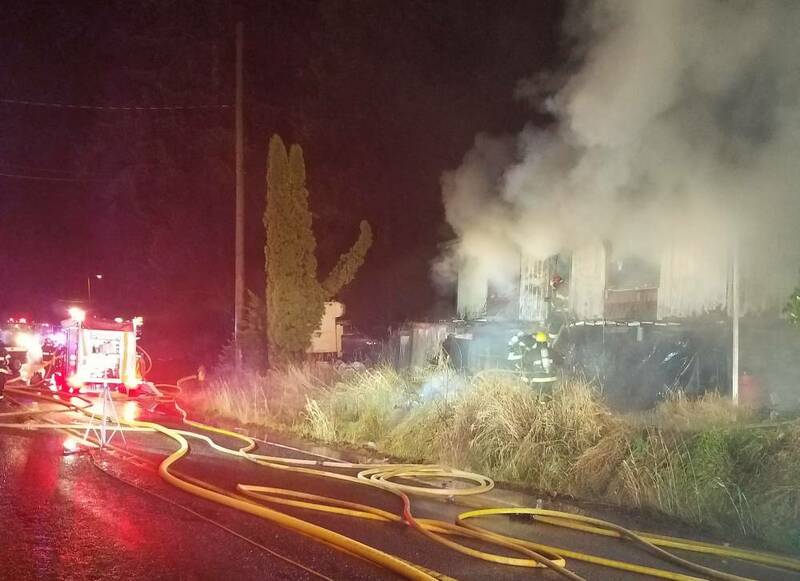 A family of five suffered minor injuries in a Wednesday evening house fire in Saxman. South Tongass Fire Department Chief Steve Rydeen said the call came in just before 8 p.m.
Rydeen said firefighters knocked the fire down from the outside before heading inside to mop up and make sure the fire was completely extinguished. “We did transport five patients that were residents to the hospital, all with minor injuries: Minor burns to the arm and smoke inhalation,” he said. Rydeen said because of the fire, the two-lane South Tongass Highway was closed completely for about an hour before it opened to single-lane traffic. He said cars were backed up quite a distance in both directions. Rydeen said fire crews were on scene until after 1 a.m. to make sure the fire was completely out and to investigate the fire. He said an official cause has not yet been established, but the fire did start in the area of the home’s woodstove. Rydeen said one firefighter was injured slightly when he cut his finger. That firefighter received stitches and a tetanus shot. 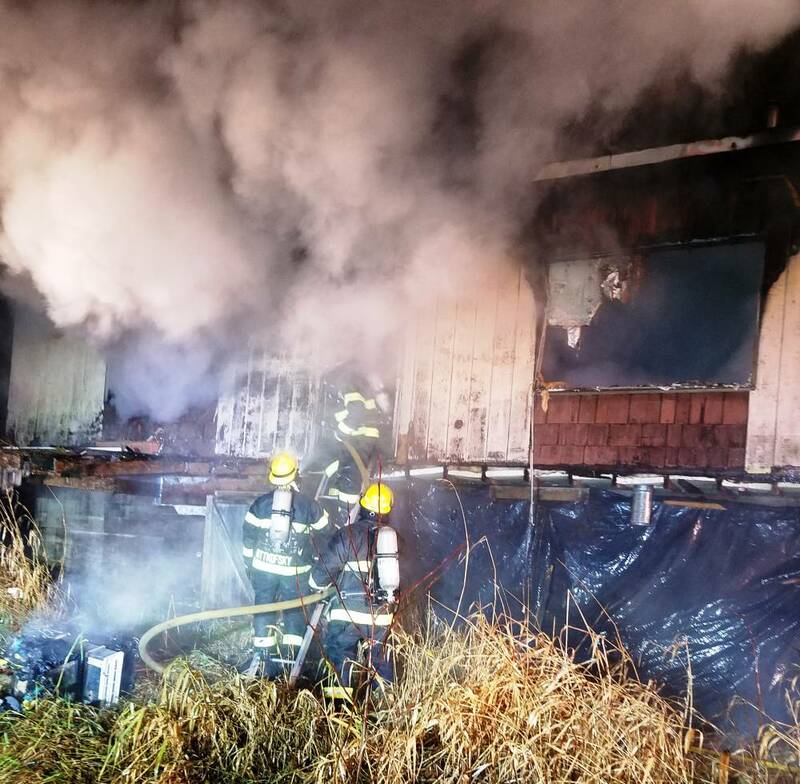 City of Ketchikan firefighters provided mutual aid during Wednesday’s fire. Rydeen said that cooperation improves response time and abilities for the island’s different fire departments.